In the green room at Kilby Court this January, 21-year-old Dallas Wayde waits to play his first sold-out show at the venue. His opener has just finished playing. Dressed in a red flannel shirt and track pants and smiling from ear to ear, he offers a hug and introduces himself, flustered: "I totally spaced it. I forgot we had an interview. I'm just nervous." 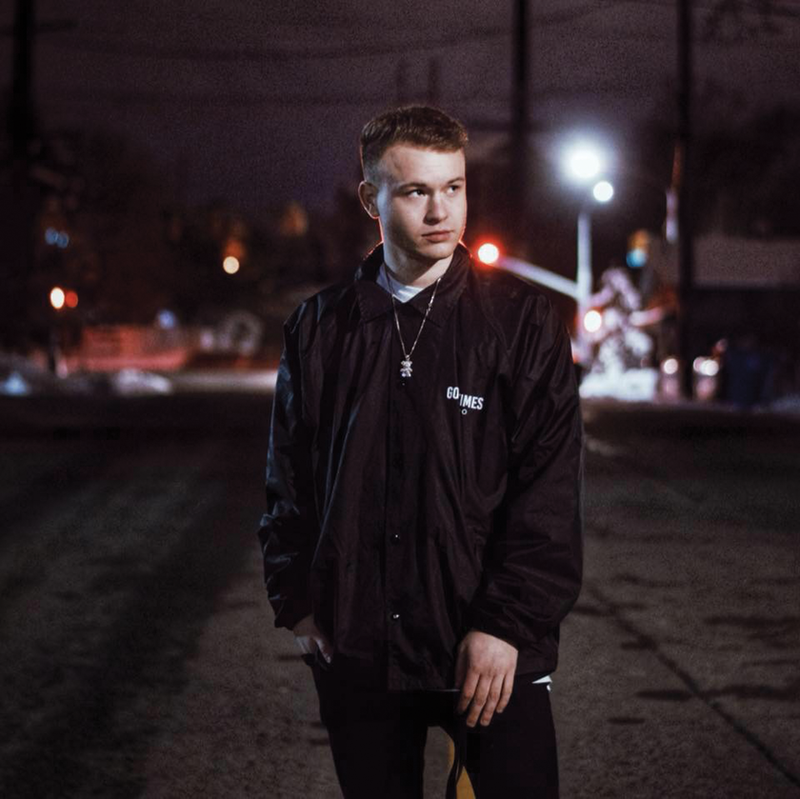 The Utah rapper and pop singer, who spent his childhood in Frisco, Texas, writes songs brimming with strong emotions. Wayde says songwriting helps him cope with the symptoms of borderline personality disorder, something he was diagnosed with at 17. BPD affects the way individuals feel about themselves and also includes bouts of intense emotion. Wayde's BPD plays a pivotal role in the music he creates and performs, and he hopes audiences feel less alone while listening to it. "It really plays into my music. I can't feel more than one emotion at a time. If I'm happy, I'm just happy. Rationality is so far away from my personality," Wayde says. Listeners can tell there's no hiding the way he feels. And, he asks, what's wrong with that? "There has become such a stigma [about] mental health and feeling too much emotion," he says. "People are going to mess up, people are going to have emotions, people are going to be human." Wayde also tries to emphasize a middle ground between the two common extremes that are so common in public perceptions about mental health issues: "I think mental health now has become either written off, or treated like a trend," he says. He feels that folks who suffer from mental illness don't want it to be their biggest defining trait. But they also want to know there are others out there who can relate. "People, they don't talk about it," he says. "These kids really do feel isolated; they really do feel alone and crazy." Wayde says his highs are really high and his lows are really low, a common trait among those with BPD. When he has high and low moments, he turns to music to help cope with his anxiety and express his emotions. He began to struggle with BPD and anxiety at a young age, a period he recounts in his most recent album, So Young & So Damaged, which delves into intense relationships and powerful emotions. Music has been shown to improve mental health, according to NAMI (National Alliance on Mental Illness): "Music acts as a medium for processing emotions, trauma and grief—but music can also be utilized as a regulating or calming agent for anxiety or for dysregulation." There are multiple methods to assist with emotional regulation, including therapy and exercise, but music is almost universal. Whether you're someone who writes music, like Wayde, or someone who listens to it or dances along with it, it can serve a valuable function beyond mere entertainment. "I just want to love people and make music," Wayde remarks right before he goes onstage. Watching him connect with his fans at Kilby Court, it's clear he is anything but alone; his fans scream out lyrics to every one of his songs. "This is the first show that the audience sang my songs with me," Wayde happily tells the crowd. That connection is something that clearly touches him deeply, as he expressed in an Instagram post about the show: "I never thought my damage could relate to other people like this. I didn't even expect anyone to show up, let alone sell out [the show] so fast. I finally feel like I belong here and I have a purpose." You can see snippets of this interview with Wayde in Episode 1 of a YouTube series titled The Damaged Mini-Series. Wayde releases his first studio single, "Psycho," on April 11.